This is a shorter version of Mimic by Guillermo Del Toro. 15 minutes are cut, scenes are heavily reorganized in order to make the movie less scattered. New 2:35:1 aspect ratio, color a bit desaturated. Mimic is an okay movie from a great director. The story suffers from some obvious déja-vu feeling (Jurassic Park, Aliens…) but is descent enough to be entertaining. The directing is nice but the movie is too scattered for my taste. Always switching from scenes to scenes, letting the audience in the middle of plenty of little average cliffhangers. In other words, the movie drags a lot. and you end with a movie that has all the elements to be great but makes you cringe too many times. I’m not saying my edit removes all the flaws of the original, but it is a version I personally prefer to watch. Thanks to JMB for providing honest and useful feedback on my workprint. Animated main menu and bonus menu. - Short commentaries on two scenes (one of them is a deleted scene). - Alternate ending… sort of! Some separate scenes are now joined in order to really follow the characters in their actions. A scene set in the midle of the movie is now put near the begining for better characters exposition. Several scenes are not presented in the same order of events of the original. - a shot taken from one of my deleted scenes. The entire movie has been cropped (almost shot by shot) in order to reformatte the 1.85:1 aspect ratio to 2:35:01. The color has been desaturated a bit, both in order to bring some, I don’t know, “70′s classic feel” to the movie..
- 2: Suzan and peter at the hospital. -22: Chuy meeting the Judases at night. I love watching movies that show a monster eating a child. I also love it when the good guys kill the monsters and inadvertently cause chaos on the streets of New York City, no doubt killing some "innocent" citizens in the process. Overview - I saw Mimic during a preview, Del Toro was in attendance to field questions, including the ever popular, "Is this film autobiographical?" It played well enough that night, and I enjoyed it. Disillusion set in swift once I bought a copy and watched at home. Video - Intelligent reconstruction throughout. Good editing and good choices of what to edit. Audio - Clean 2-channel audio. No subs, but they were unnecessary. All dialogue was decipherable. - - Amended - - There were subtitles! For whatever reason, Daum wouldn't display them unless I launched from the Bonus (click around those Corn Flakes). Narrative - This -- this is where the edit gleams, even in the abandoned subway darkness. The story no longer bounces around, as if the flashbacks provided important information, but is more linear, more coherent. The annoying Chuy has been marginalized as much as possible, as has the "baby blues" theme. 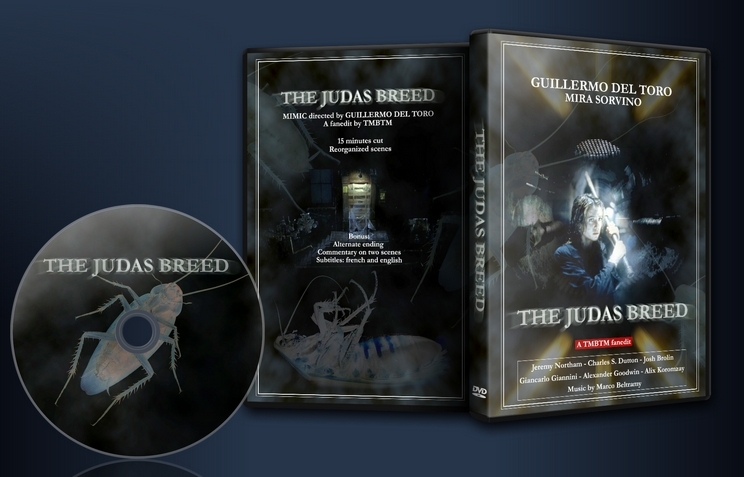 The "science" of the judas bugs remains sketchy, but this is not the film to overthink. Enjoyment - For all its gloss and high octane cast, Mimic still cannot escape its cheap B-Horror roots. The last act is little more than a bug hunt and succumbs to cliches. I nursed dark hopes for Chuy in light of previous characters, but alas. No mistake, though, this is better, much better, than the Del Toro original. Solid late night Horror. Even better if you watch in your friend's roach infested home. NOTE!! Sit through those credits! Two bonuses await. Having seen “Mimic” a couple of months back (Netflix) I thought this tight editing job was a substantial improvement. From being a marginally interesting but slightly cringe-inducing derivative genre pic this became quite a good addition to my bug-hunt library. It has a much better flow now and keeps the story moving forwards. Plus it kept my wife entertained (and scared) without driving her off to watch a chick-flick in another room, and it has that funny, cleverly assembled, “alternate ending”, which has to be worth half a star right there! No need to ever watch the original again. So let’s say 7.5 / 10. 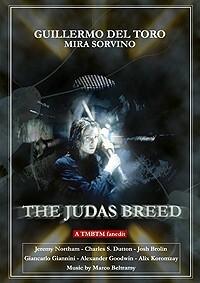 Well done TMBTM for a thoroughly professional facelift of what would otherwise be at best a 5 / 10 movie experience. It was as boring as the original. I expected a lot more and found myself disappointed.